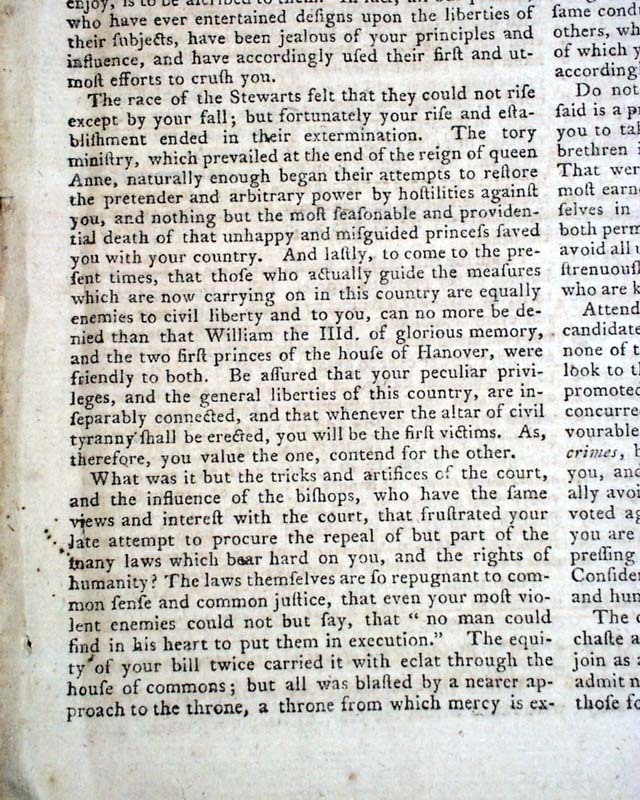 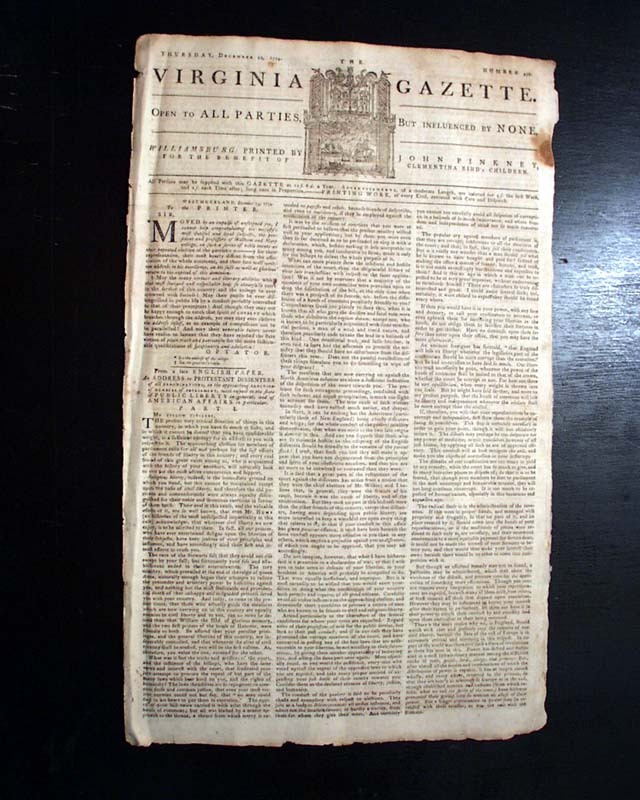 This newspaper was published by John Pinkney, a distinction to be made since there were three newspapers of this title printed in Williamsburg during the early period of the Revolutionary War. 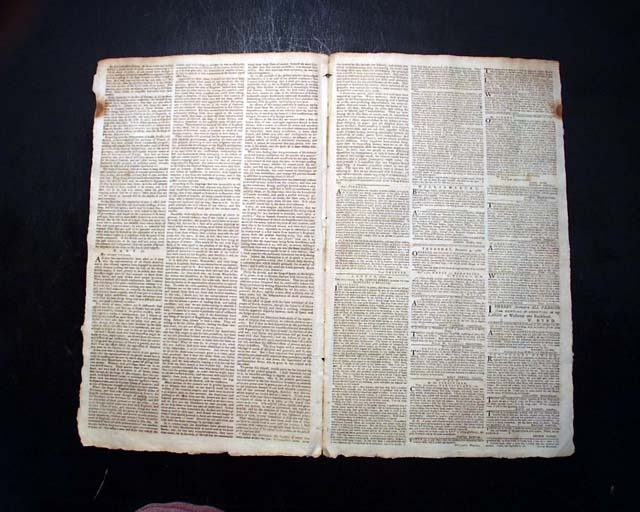 Pinkney continued this title which just months prior was published by Virginia's first woman printer, Clementina Rind, noting in the masthead: "Printed by John Pinkney, For The Benefit Of Clementina Rind's Children." 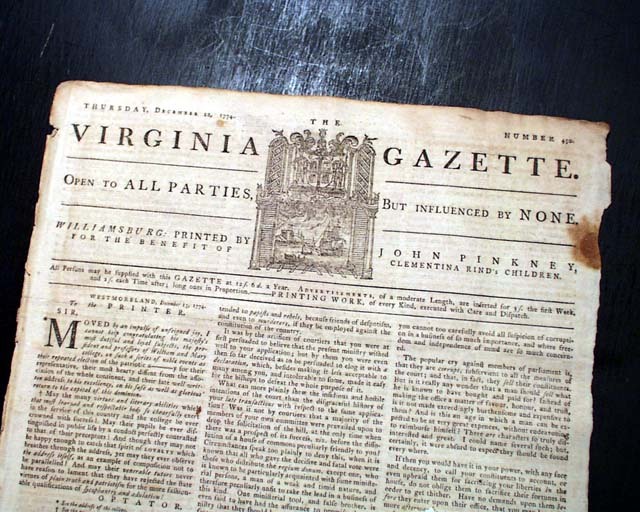 A very rare opportunity for a scarce title from colonial Virginia, as any experienced collector is aware. 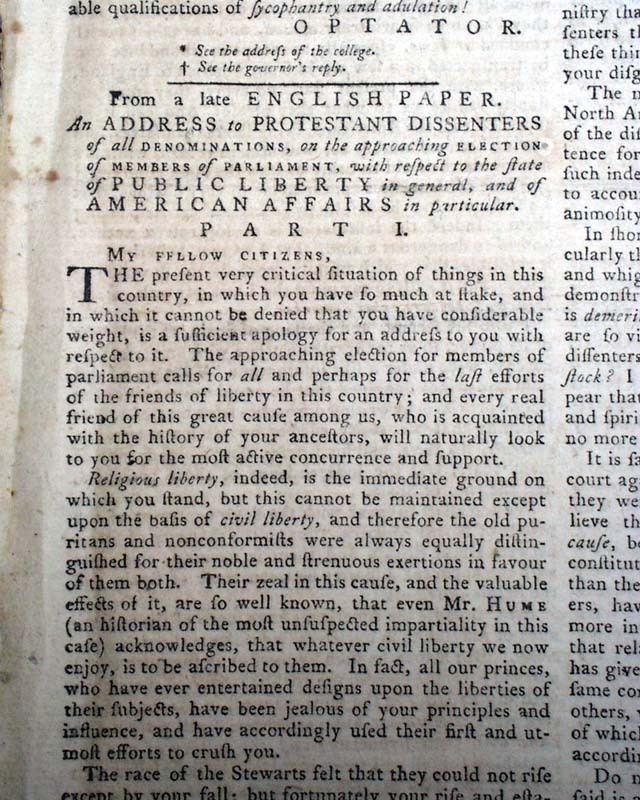 Most of the front page is taken up with: "An Address to Protestant Dissenters of all Denominations, on the Approaching Election of Members of Parliament with Respect to the State of Public Liberty in General, and of American Affairs in Particular". 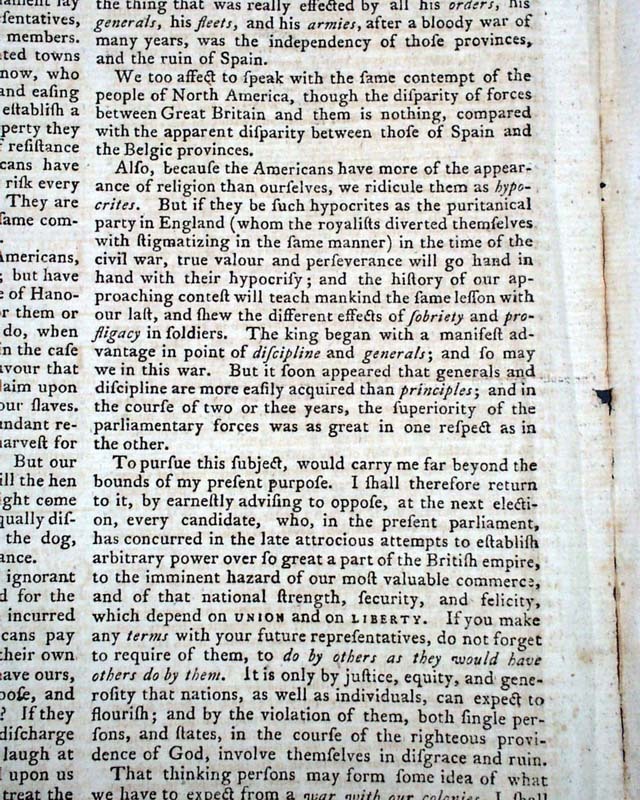 A wealth of fine content with much reflection upon the growing hostilities in American-English relations. 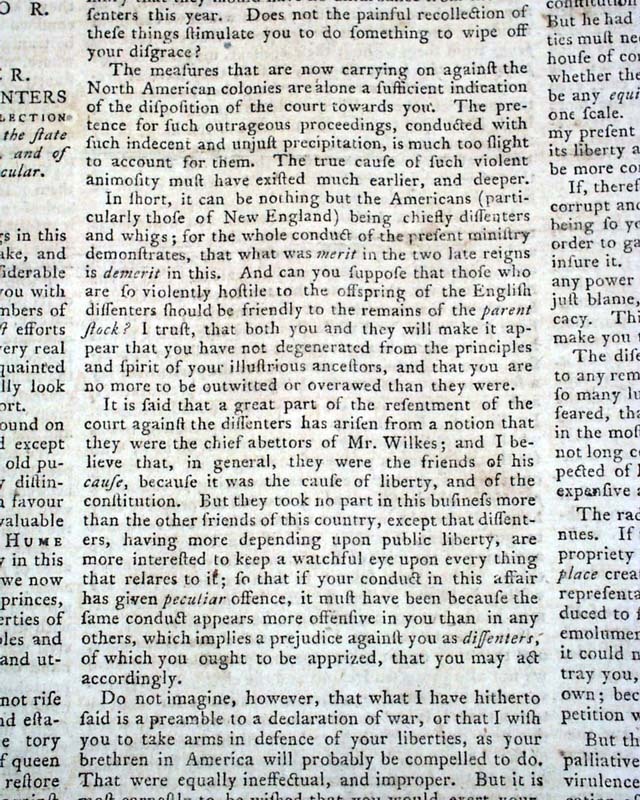 One bit notes: "...The measures that are now carrying on against the North American colonies are alone a sufficient indication of the disposition of the court towards you...The true cause of such violent animosity must have existed much earlier, and deeper...it can be nothing but the Americans (particularly those of New England) being chiefly dissenters and whigs..." and much more. 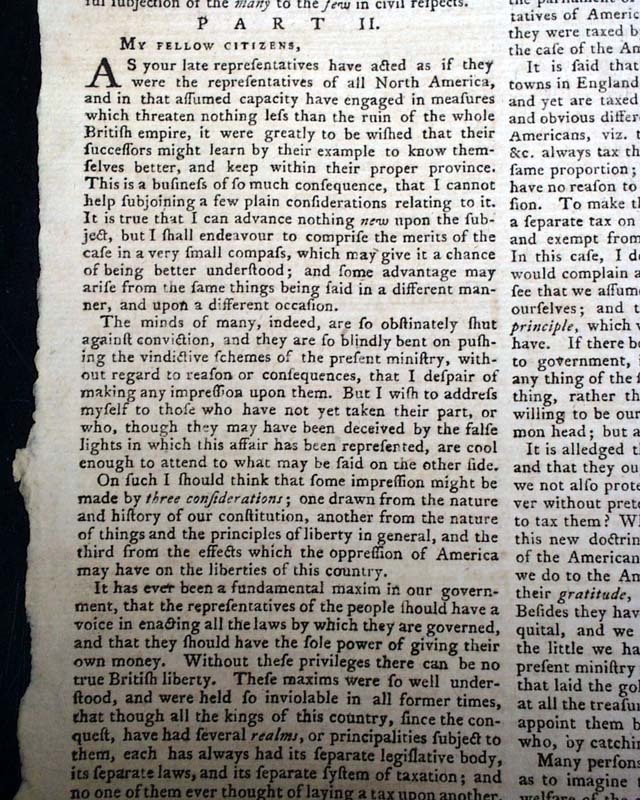 This Address carries over to page 2 where is found "Part II" of the address, continuing with the concerns with relations with the American colonies. 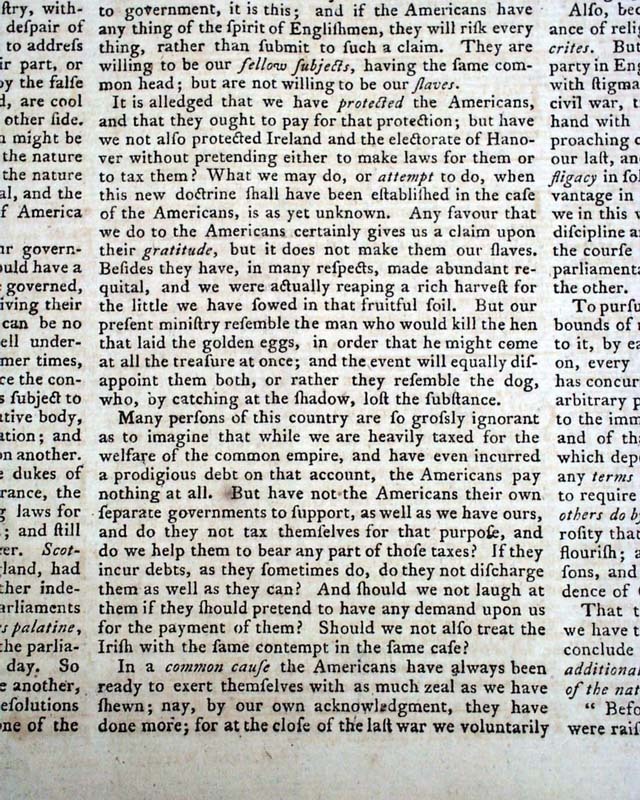 One bit notes: "...It is alleged that we have protected the Americans and that they ought to pay for that protection; but have we not also protected Ireland..without pretending either to make laws for them or to tax them?..Any favour that we do to the Americans certainly gives us a claim upon their gratitude but it does not make them our slaves..." and so much more. 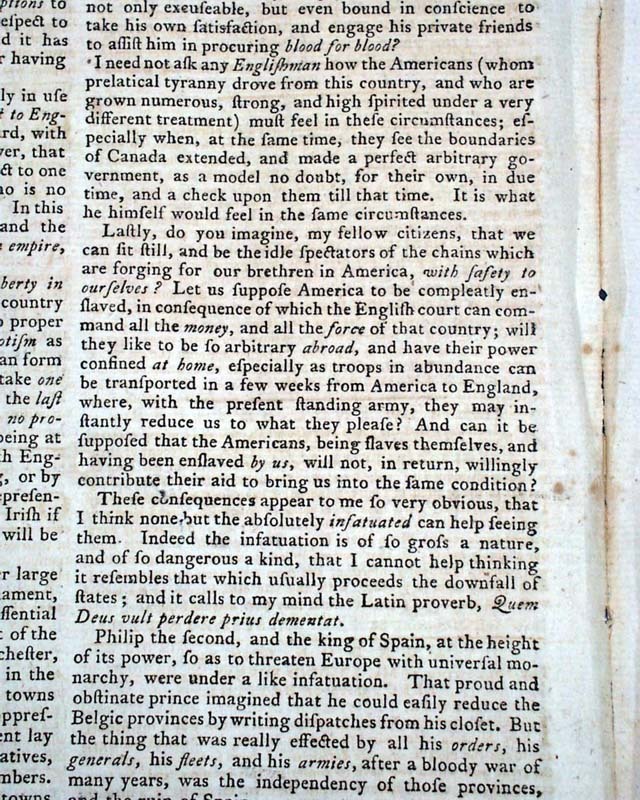 Photos show only portions. 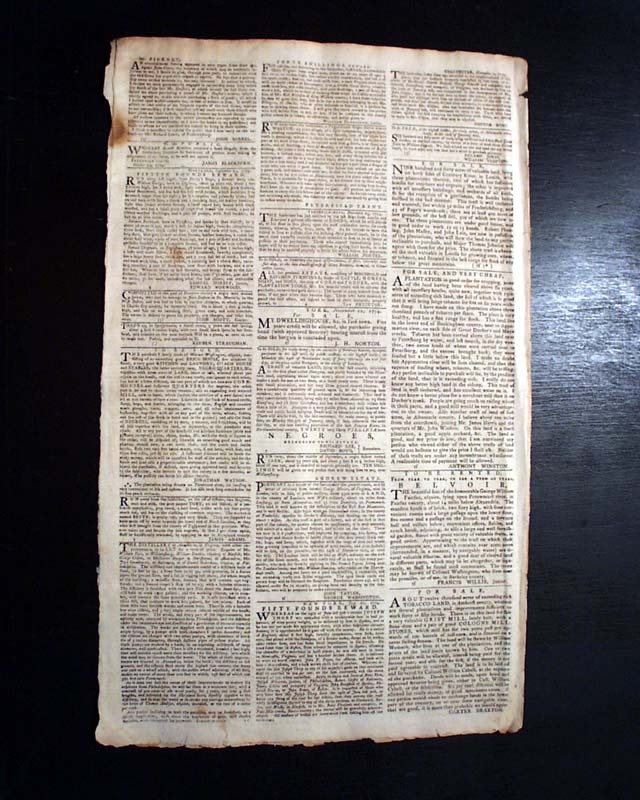 Four pages, never-trimmed margins, very nice condition with a decorative and displayable masthead.